Completed the Buyere shirt a much needed addition to my wardrobe!!!!!!! 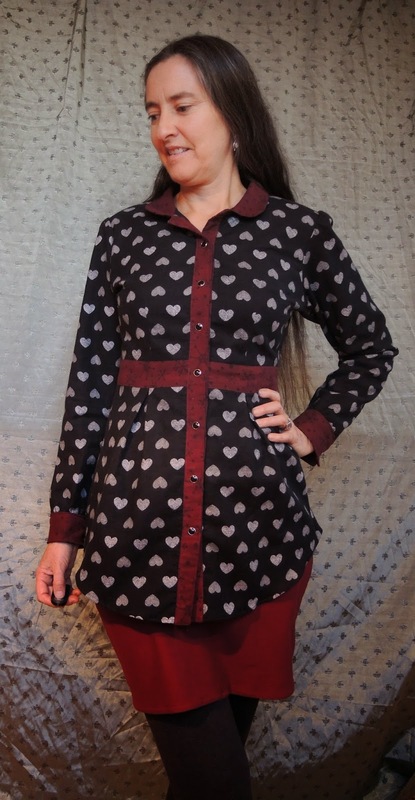 I used this cute flannel heart fabric trimmed with a nice burgundy flannel. I love it and really needed it!!!! Yah!!!! 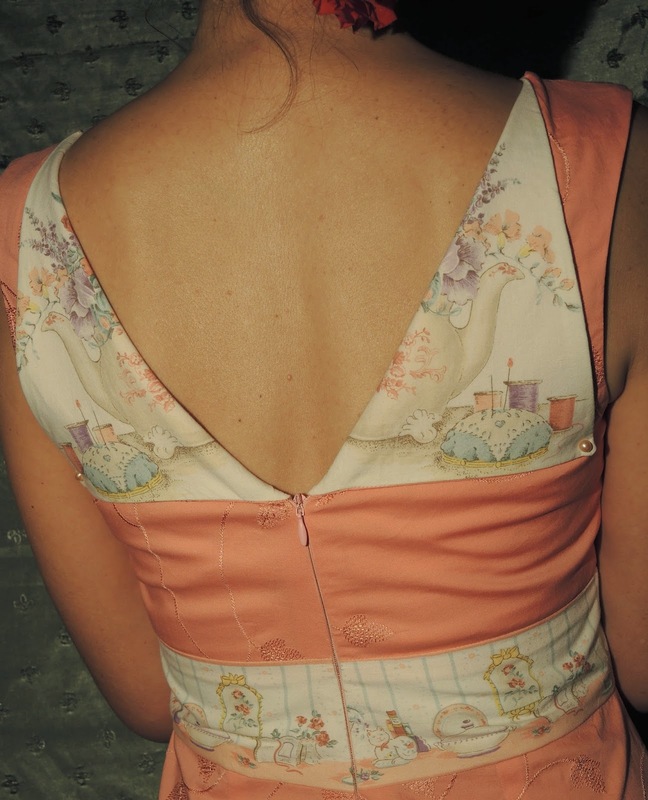 Check out my plackets and snaps! I forgot how much I love snaps! And the back. 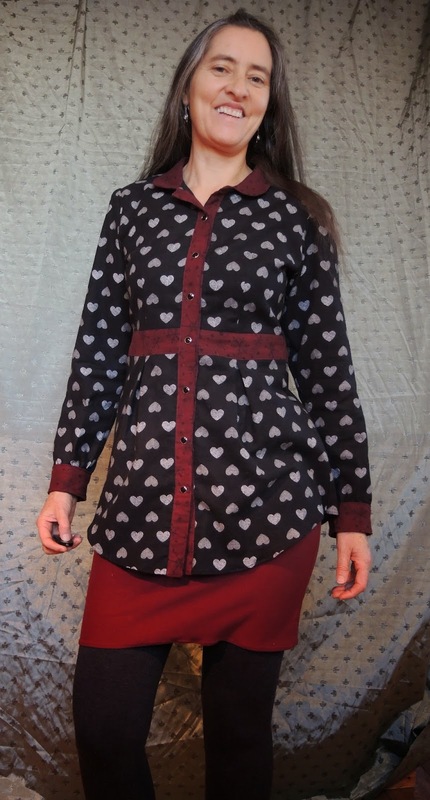 I also made a burgundy mabel skirt and dark gray leggings to go with this Buyere shirt. 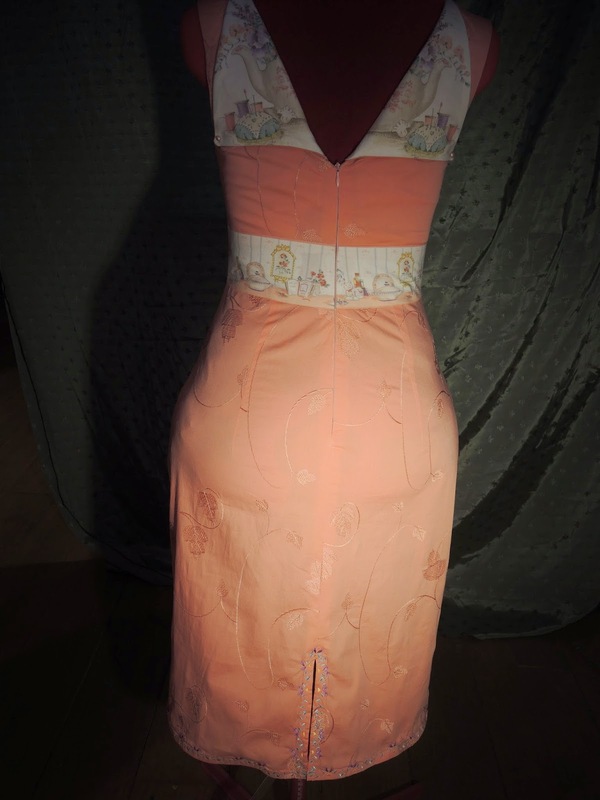 The changes I made were: to make a small bust adjustment, I cut a size 36 for bust, grading to a size 38 waist, and size 44 on top part of sleeve grading to a size 40 sleeve at arm and cuff, took off one half inch off the width of the collar and rounded it. The arms may seem a little baggy but I wanted room to feel comfortable with another long sleeve tee shirt under this shirt. 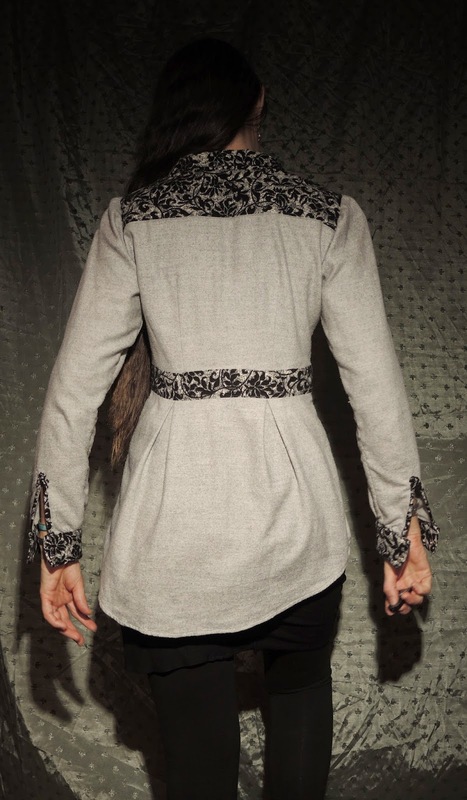 The first Buyere shirt I made was in gray flannel with a black and gray trim. I also made a mabel skirt to go with these crazy leggings I have had for a long time but never found the right thing to wear with them - now I got it!!!!! The thing with the sleeves is an old fitting problem I still do not understand. Often, when I make something with long sleeves it is way too tight when I lean down to pick something up - restricting my arm movement! I HATE that because I work in all my cloths! I cannot figure out how to do upper arm adjustments without just making that whole upper arm bigger. So, I just make the upper arm bigger and grade smaller as I come down the sleeve to the cuff. Maybe some day I will figure out the proper way to do it but for now this works. Into the wonder of your heart." 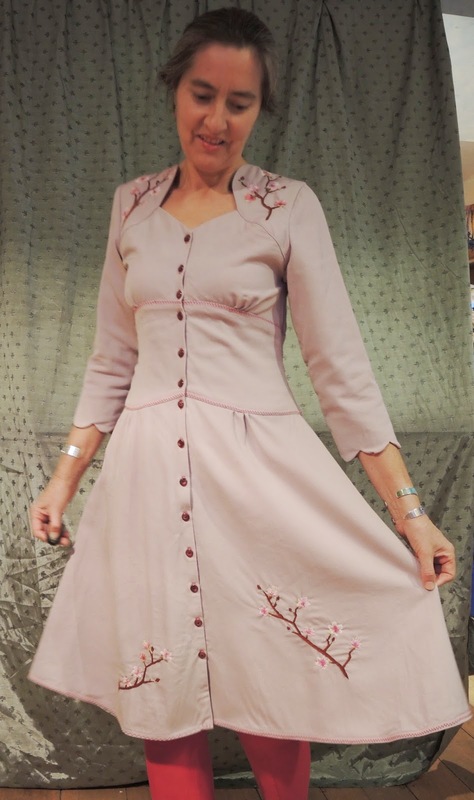 Completed the Ceylon Nectarine Blossoms Dress! 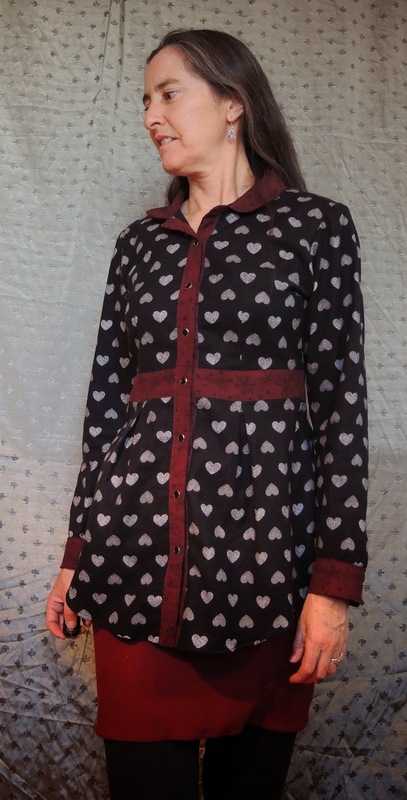 The pattern is from Colette Patterns www.colettepatterns.com. 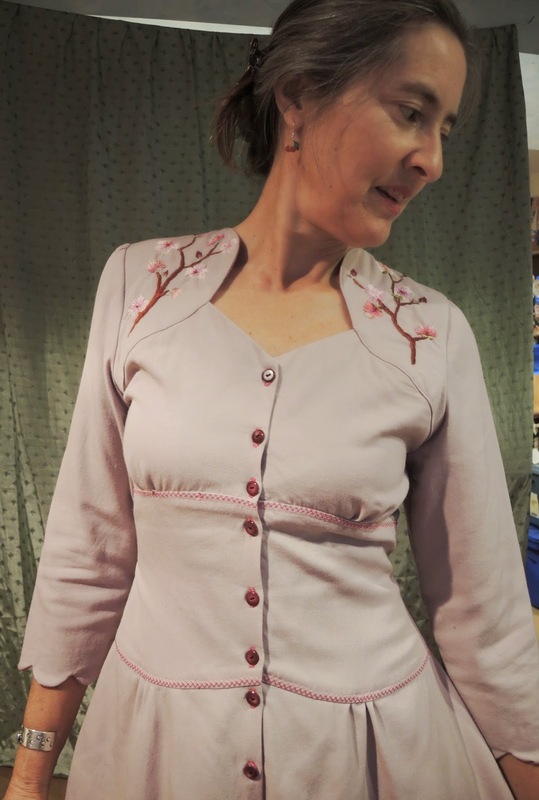 I used a wonderful wool gaberdine fabric in a rose color. 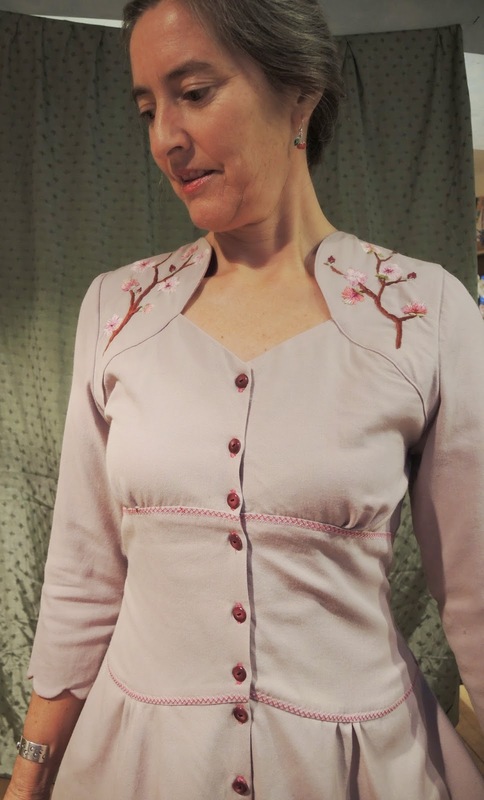 It took me a long time to complete the hand embroidered nectarine blossoms because I don't often sit down to handwork. 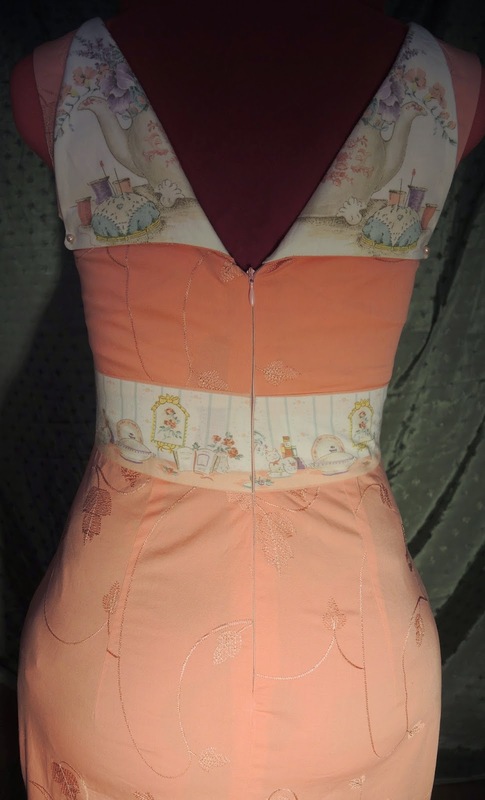 I LOVE this dress design; the wide midriff is flattering and the topstitching leaves a lot of room for fun with decorative stitching. 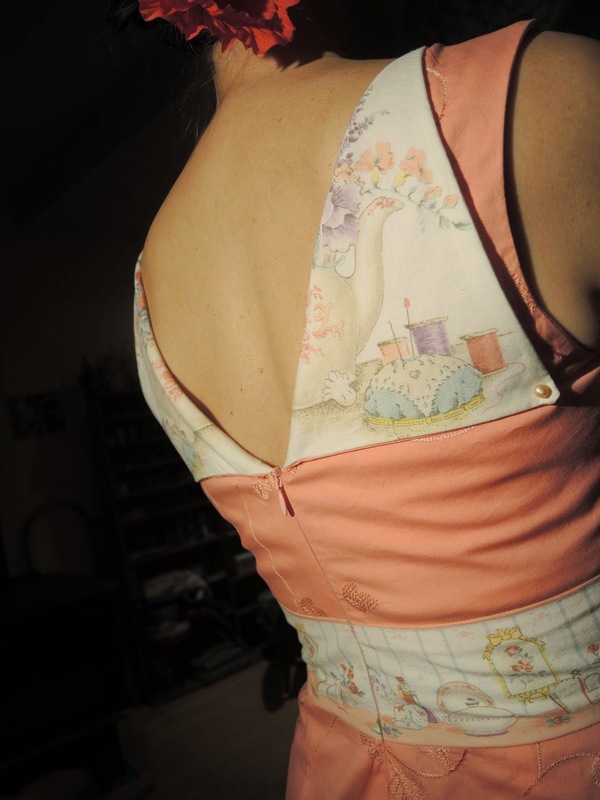 The changes I made were: to add long sleeves, add a lining, made a small bust adjustment, and continued the darts all the way up the back of the midriff. It is such a comfortable dress!!!! 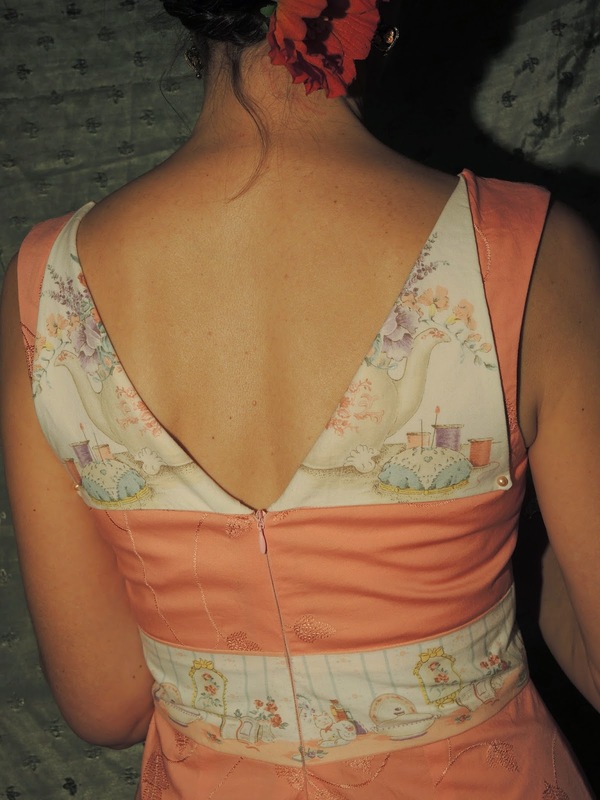 I lined the dress with a lovely rose pink silk(the leggings are not red but a fuchsia color). 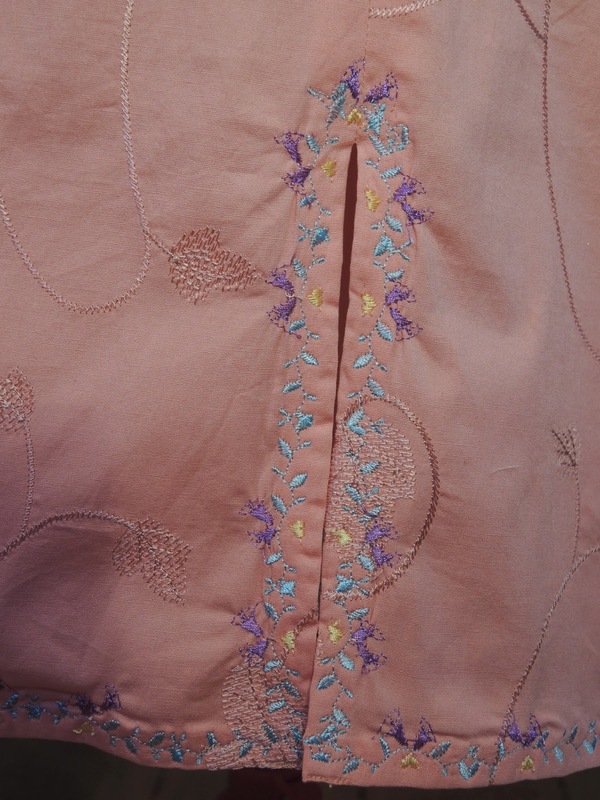 I love the wool fabrics lined with silk for winter clothing! !